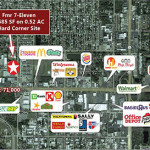 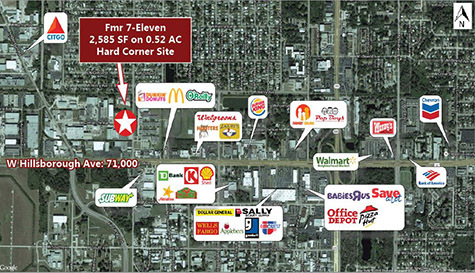 This 2,940 SF former 7-Eleven is located on a 0.25-acre pad just north of high-traffic West Hillsborough Avenue with excellent proximity to a number of established retailers and two well attended college campuses. 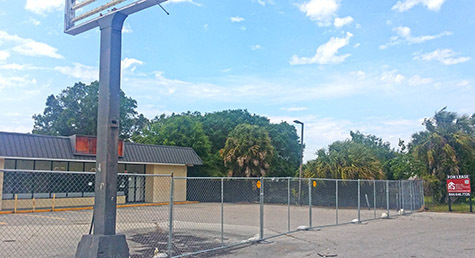 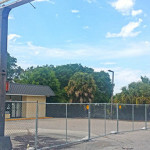 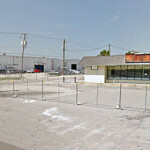 This commercially zoned site is also located proximate to Tampa International Airport and is only a short drive from the University of South Florida, Busch Gardens, and major employment centers. 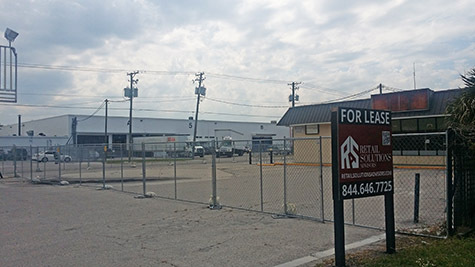 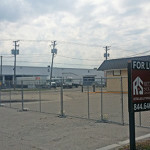 The property is available for sale at $350,000.